Luckyfinds: Delaney Bracelet up for grabs! Delaney Bracelet up for grabs! 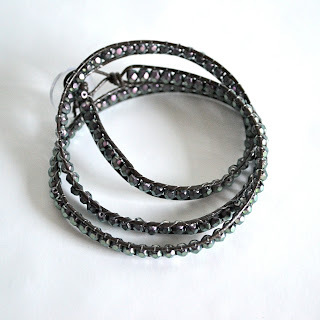 Get a chance to win The Delaney Bracelet from HandmadeMN valued at $22! The trendy, wrap bracelet was made using leather cord and purple irridescant glass. It wraps around the wrist 3 times (20" long) and has a clear button loop closure. Contest ends June 18th and is open Worldwide.